An adorable design by artist Debbie Mumm. 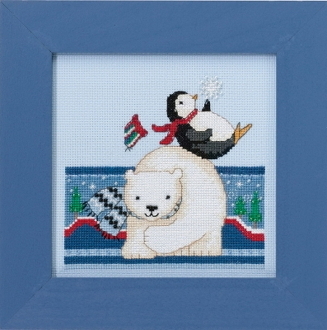 Features a Polar Bear and a Penguin playing. Design size: 5" x 4.75" (12.7cm x 12.07cm). Frame sold separately, see item 40-151, GBFRM8 Matte Periwinkle Frame.